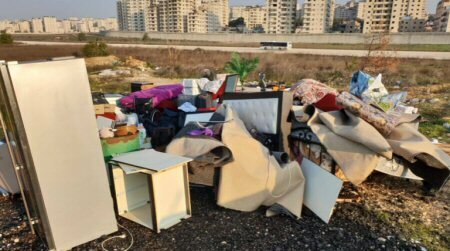 Israeli forces demolish the Mughrabi family’s home in Qalandia, January 2, 2019. Photo credit: Wadi Hilweh Information Center. Demolition reported in Qalandia, January 2, 2018. Photo credit: The United Nations Office for the Coordination of Humanitarian Affairs in the occupied Palestinian territories. Visit the Alternative Information Center (AIC).